Belarusian souvenirs for you to bring home! Many stores with unique souvenirs and presents made by Belarusian designers, artists, and also artisans have opened around Minsk in the last few years. As the range of items is quite similar, we have selected a few shops that we like the most and are easy to locate. 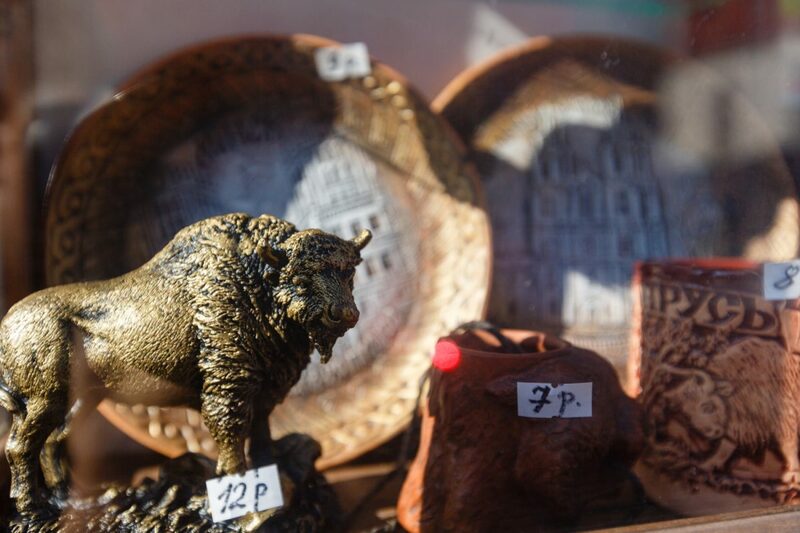 Check them out to get yourself and your loved ones a local and original souvenir from Belarus! Where to buy Local made Souvenirs? The only store in Minsk that offers the largest variety of Belarusian souvenirs (made of wood, straws, ceramics, flax fibre, vine, woven and stitching products, famous Slutsk belts, etc. ), modern linen garments, national costumes, men’s shirts and women’s blouses with embroidery in traditional folk style (embroideries), furniture from the vine, etc. If you are into Linen then this shop is a must-do for you. It offers real linen tablecloths, towels, napkins, and many other linen products for home and as a gift for relatives and friends. This shop offers not only original souvenirs and gifts in the Belarusian ethnic style, it also plays on customer experience as it looks a bit like a museum of Belarusian culture. All products are selected on the basis of tradition, naturalness, aesthetics and functionality. It is more than a shop as it promotes things and events, which are devoted to the Belarusian language, culture and history. Here you can find many hip items with historical, traditional and national symbols created by Belarusians in Belarusian style. 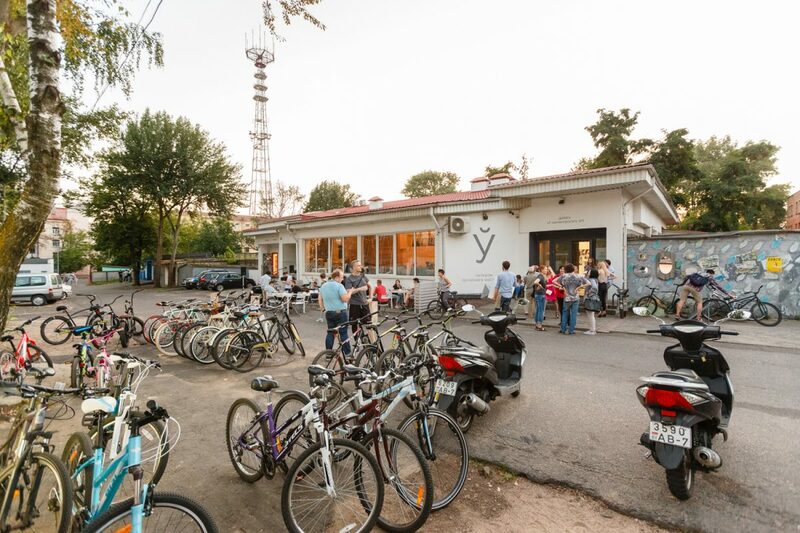 Besides having an exhibition space, wine bar and a bookshop, this gallery also has a Belarusian souvenirs shop with many original items made by Belarusian artists and designers – from postcards and magnets to clothes, household items, and their biggest focus – artworks. Here you can find folk and modern art from one of the best artists and artisans in Belarus: traditional Belarusian souvenirs, paintings, jewellery, paintings on silk, household items, etc. The galleries’ assistants will be happy to tell you about many national traditions. They also organise free “Minsk is a City of Masters: Traditions and Creativity” tours, where they share their knowledge about Minsk’s ancient crafts and unique artisans. One of the first galleries in Belarus that have started selling works of modern Belarusian artists. Here you can find painting, graphic arts, sculpture, decorative and applied arts. What Belarusian Souvenirs to buy? Sweet and sour in one. These delicious sweets, that burst on your tongue, are made using patented technology. So you will not find them anywhere in the world. You can buy it almost in all food shops. These unique sweets are close to marshmallows but slightly healthier (they are made of apples, sugar and egg whites), softer and lighter. The most important thing to remember is to buy zefir that has been produced by the confectionery Krasny Pishchevik, which has been making these delicious sweets for more than a hundred years. Belarusian alcoholic drink, that is infused with honey and spices. This drink has been revived according to the recipes of the Grand Duchy of Lithuania times. You can drink it cold or hot. Buy it at Klassicheskie Vina Shops (“Классические вина”). This Belarusian souvenir is a unique symbol of the Belarusian national culture. Slutsk belts were traditionally hand woven from silk, gold and silver yarn. Two masters could make no more than 6 belts in a year. Today, the real Slutsk belts are a rarity, and most of them are in museums and private collections around the world. You can buy souvenirs stylised to the famous slutsk belts. There are more expensive belts from gold and silk threads, and more affordable version from flax, cotton, wool and lurex. Use the belt to keep your trousers from falling down or as a beautiful decoration for your dress. First of all, on Belarusian land, flax has been cultivated since ancient times. It is an amazing material. The fabric can be rough or delicate, and is considered an environmentally friendly and healthy product. Whatever you choose (towels, table cloths, bed linen, bags, clothes, or toys) you will definitely like the quality, breathability and restrained design, that will fit you or, if it is not clothing, into any interior. Clothes made from flax are remarkably airy and light, perfect for our warm summer months! Why not try our good quality and affordable Belarusian cosmetics! Belor Design, Relous and Luxvisage all make lovely mascaras, lipsticks, haircare products and face creams. Stock up on great products for half the price of many European and American brands. Buy it at GUM warehouse. 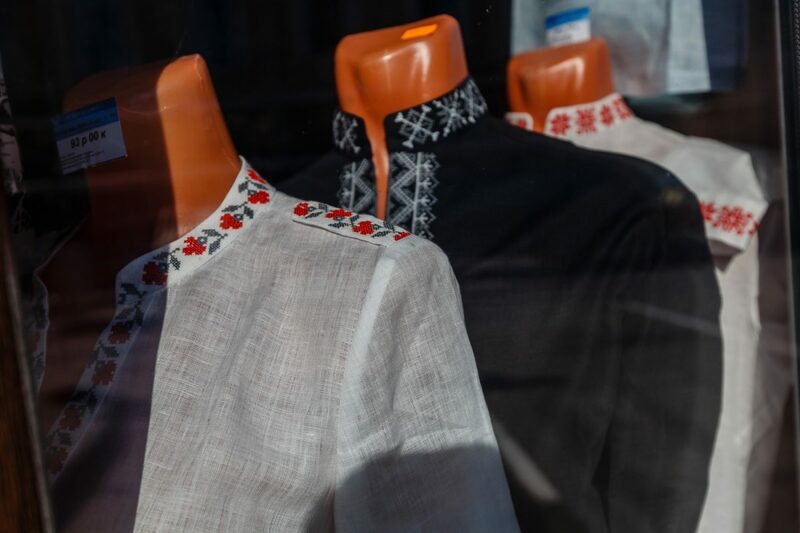 Vishivanka is the modern name of the traditional embroidered East Slavic shirt. Usually, embroidery was made from homemade cloth with some local ornament. It was not just for beauty, folk embroidery also had a protective character: red and amulet colours closed access to the body, embroidering patterns on cuffs, on the collar and on the hem. Now you can buy different variations of Vishivanka – from linen shirts to cotton t-shirts with a number of the ornamental patterns. Do not forget to visit the local supermarkets to get traditional and very tasty Belarusian food products.